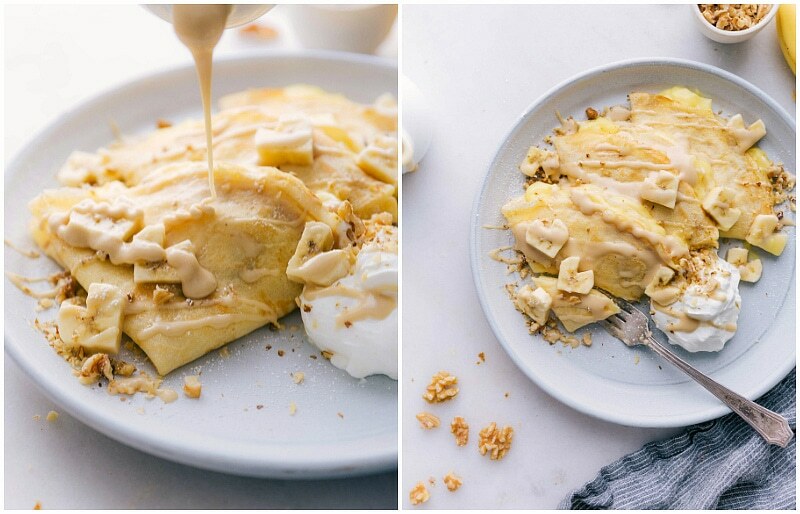 A simple crepe recipe filled with an easy custard filling, plenty of bananas, and chopped walnuts. 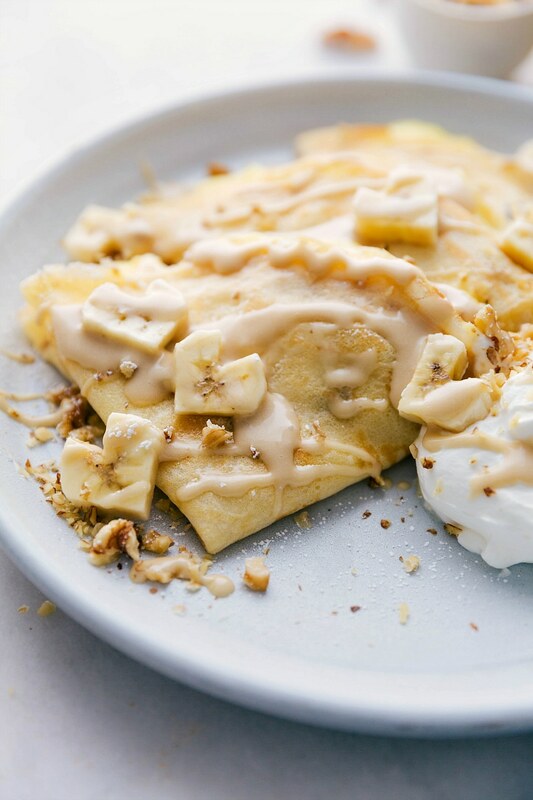 These banana crepes are easy to make — the actual crepes and custard can be made ahead of time so when you’re ready to serve, these come together in a flash. This post is sponsored by the California Walnut Board, but all opinions are my own. 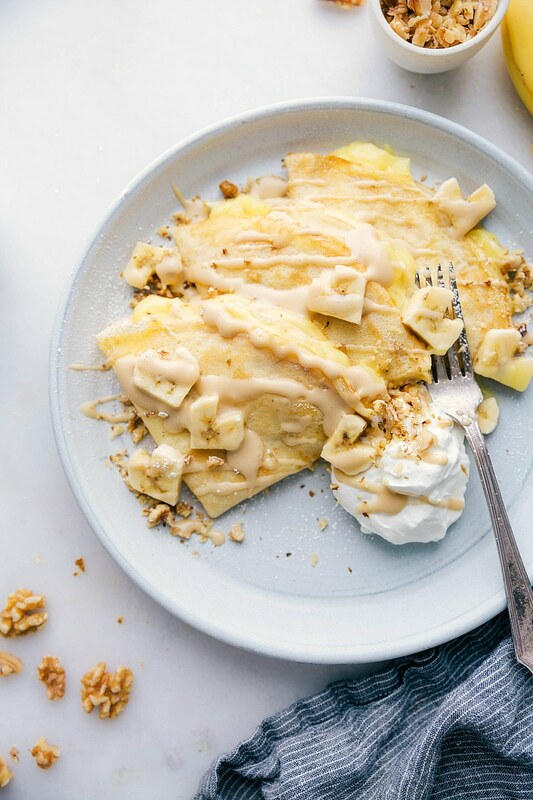 Serve these banana crepes with a sprinkle of powdered sugar, maple syrup (or this vanilla sauce), homemade whipped cream, a few additional banana slices, and a good handful of chopped walnuts. These crepes make the perfect fun breakfast or brunch! Or, you can jazz them up for a special Valentine’s day treat by cutting the banana slices into hearts. There’s nothing that says “Valentine’s Day” to my boys like a homemade breakfast/brunch. While I’ll make pancakes (or waffles), bacon, and eggs quite frequently for them, they love something a little extra like homemade crepes, homemade cinnamon rolls, or this bread pudding recipe. 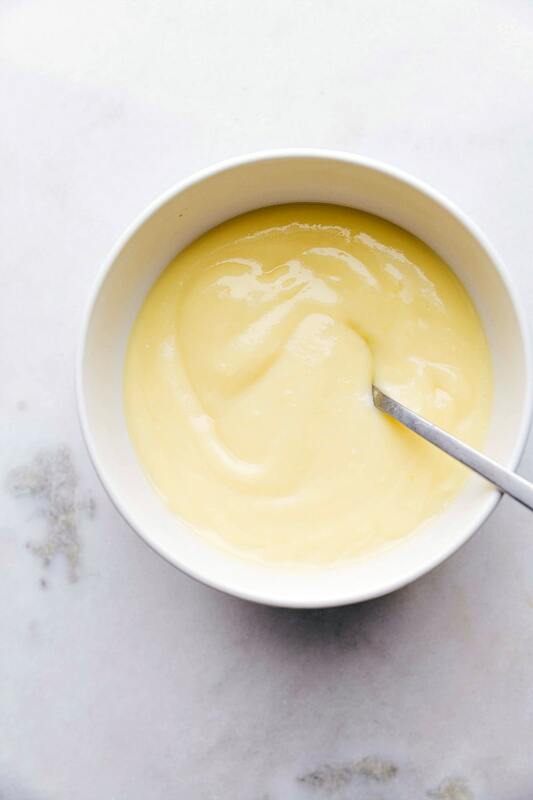 Blend: Add milk, flour, sugar, salt, butter, vanilla and eggs to a blender, then blend on low speed until well combined — just about 10 seconds if you have a powerful blender! Cooking the crepes: Once the mixture has chilled and you’re ready to make your crepes, give your mixture a quick stir. Next, lightly butter a large skillet (you don’t need a special crepe maker!) then lift the pan and pour a scant 1/4 cup batter into pan. Immediately tilt and swirl the pan in circular motion to evenly coat entire bottom portion of pan with that crepe batter. Once the crepe is golden brown (about 1 minute), use an offset spatula to lift the edge of the crepe and flip to the opposite side. Cook the other side until golden brown spots appear. Enjoy: add a drizzle of syrup and some whipped cream (both optional) and garnish your crepes with heart-shaped banana slices and chopped walnuts. 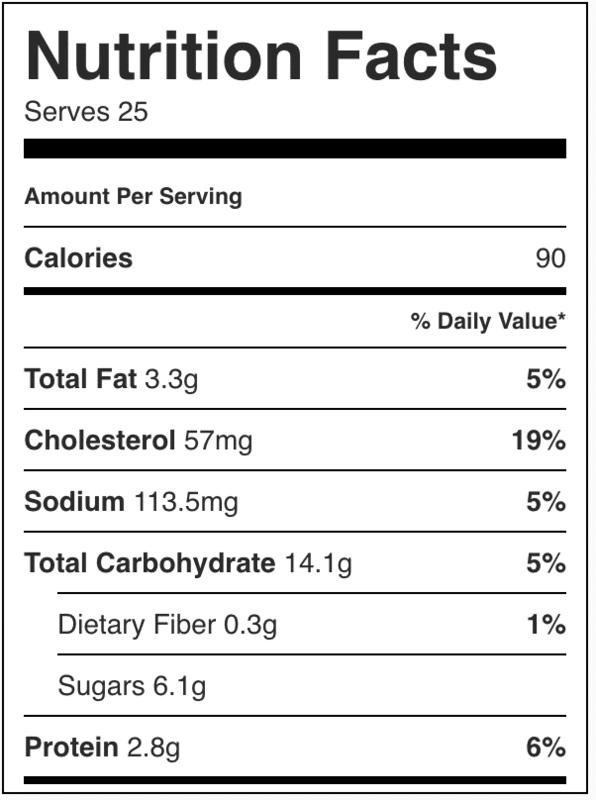 Adding walnuts to the filling of these banana crepes (and as a topping) enhances both the flavor and the texture of the crepes (we definitely need the “crunch” factor with all the creaminess going on), while also offering good fats (13g/oz polyunsaturated and 2.5g/oz monounsaturated fat), protein (4 g/oz), and fiber (2 g/oz). 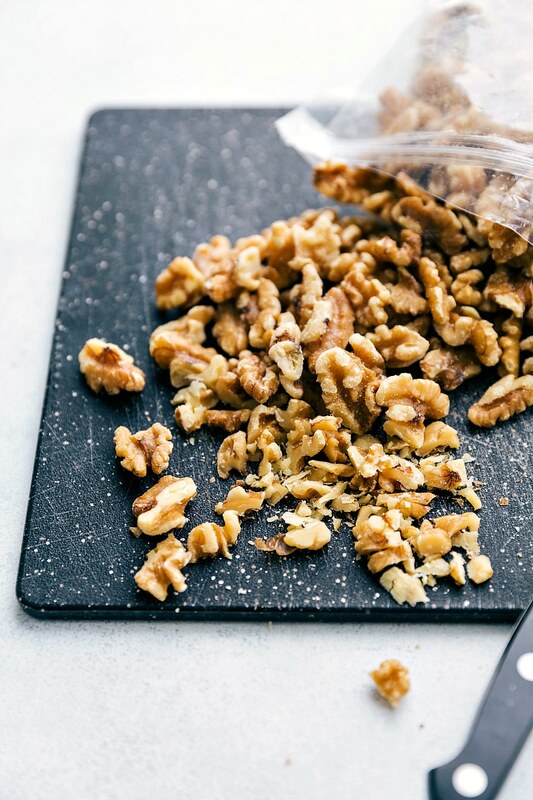 Walnuts are nutritious and have a variety of potential health benefits. So beyond their delicious flavor, it’s definitely a bonus you’re adding this nutritious component to these banana crepes. Refrigerate the batter for at least one hour. Refrigerating the mixture after it’s been blended, relaxes the gluten and makes for light, airy crepes. Buttering your pan: You want to make sure you have enough butter to evenly cover the bottom and parts of the sides of your frying pan. Your first crepe may be a bit crispy and buttery but the following crepes should come out perfectly. The initial butter you apply to the pan should last at least 5-6 crepes. Don’t flip it too early: Make sure you wait until the surface of your crepe is starting to get golden brown spots, the edges have started to brown, and it is no longer shiny. If you flip it too early the crepe will tear. Immediately swirling the batter: It’s vital that as soon as your pour your 1/4 cup of batter onto your heated frying pan you immediately swirl the batter evenly around the whole base of the frying pan. If you wait at all the batter will start to cook immediately and you won’t get that thin delicate crepe. Here’s a tutorial for how to make crepes along with other delicious crepe recipes! 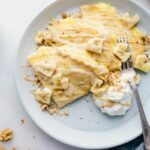 A simple crepe recipe filled with an easy custard filling, plenty of bananas, and chopped walnuts. 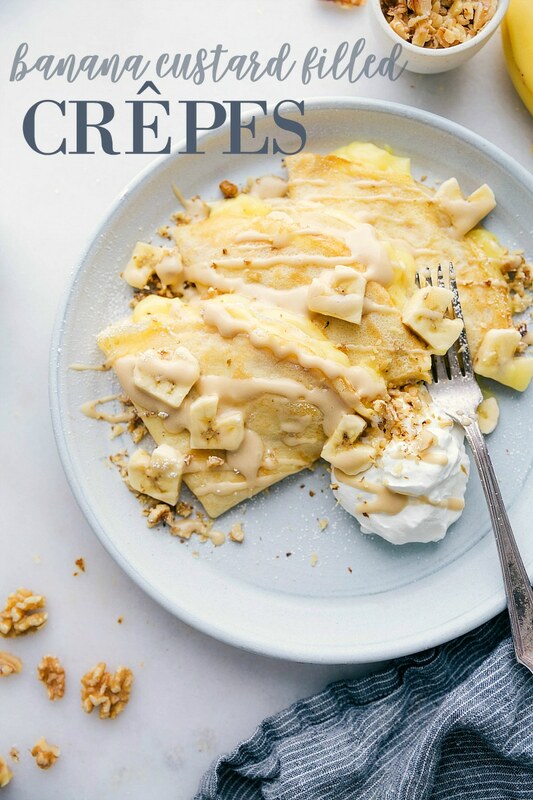 These banana crepes are easy to make -- the actual crepes and custard can be made ahead of time so when you're ready to serve, these come together in a flash. Add milk, flour, sugar, salt, butter, vanilla and eggs to a high powered blender. Blend on low speed until well combined, about 10-15 seconds. Scrape sides and bottom of blender if there's any flour sticking and blend a few seconds longer. Cover and chill in the fridge for 1 hour (or overnight if desired). Heat an 8 to 10-inch NONSTICK skillet over medium to medium low heat. Remove the batter from the fridge and give it a quick stir. Place a large tray out. Cut small squares of parchment to separate crepes. Lightly butter the skillet with melted butter and a pastry brush or paper towel dipped in the butter and rubbed over the skillet. Barely lift the pan off the heat and immediately pour 1/4 cup crepe batter into the pan. 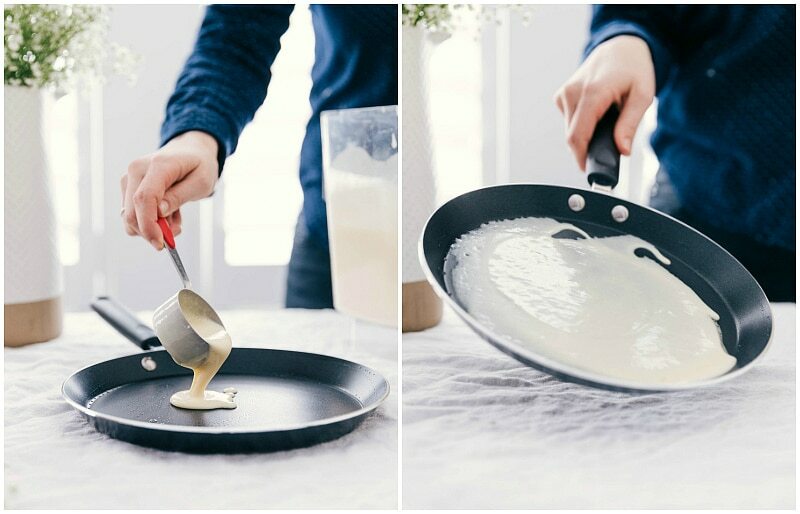 Immediately, and working quickly, tilt and swirl the crepe pan in a circular motion to evenly coat the bottom of the pan with batter. Return skillet to the heat. Cook until crepe is golden brown on bottom (1-2 minutes) and then use an offset spatula (I like to use a rubber spatula) to lift an edge of the crepe. Gently grab that edge of the crepe and using your fingers and the spatula, flip the crepe to the other side. Cook until golden brown spots appear (another 1-2 minutes) on bottom and then remove to prepared plate/tray. Place a piece of parchment or wax paper on top of the crepe. Repeat until all of the batter has been used up. If crepes are cooking too quickly, reduce the temperature of the burner as needed and alternatively increase if they are taking longer than 1-2 minutes per side to cook. In a small pot, combine the sugar, cornstarch and salt. Turn the burner heat to medium-high heat. Gradually add in the milk while whisking constantly. Cook and stir until thickened and slightly bubbly, about 3-5 minutes. Reduce the heat to low. Cook and stir for 2 minutes longer and then remove from the heat and let cool for 1 minute. Meanwhile, place 3 ROOM TEMPERATURE egg yolks in a small heat safe bowl. 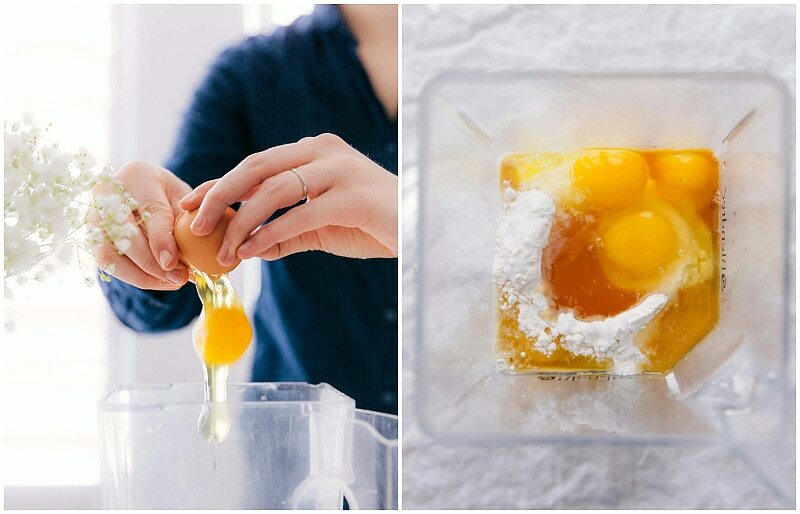 Stir a small amount of hot milk filling into egg yolks while whisking constantly. Pour the egg yolk mixture into to the pan, stirring constantly. Return pan to medium heat and bring to a gentle boil; cook and stir for 2 minutes. Remove from the heat and stir in vanilla. Cover and chill for 1 hour. Place a crepe on a plate. Spoon the custard on the bottom half of the crepe and top with thinly sliced bananas. Add a sprinkle of chopped walnuts on top. Fold the crepe in half and then in half again to form a triangle. Top with desired toppings: whipped cream, maple syrup, heart-shaped banana slices, and/or finely chopped walnuts. Enjoy immediately. You can stack the cooked (completely cooled) crepes with parchment paper, place in a large ziplock bag, and refrigerate them for 3-4 days. *Instead of maple syrup you can top these crepes with this "caramel" syrup (click on caramel). These look so good. Can’t wait to try them.